Colourful stationery seems to be on the decline – and that may be no bad thing. Although the economists will tell you the country is on the up, the truth is the high street is not having a good time. One slight positive may just be that shops selling largely unnecessary items are struggling more than most. 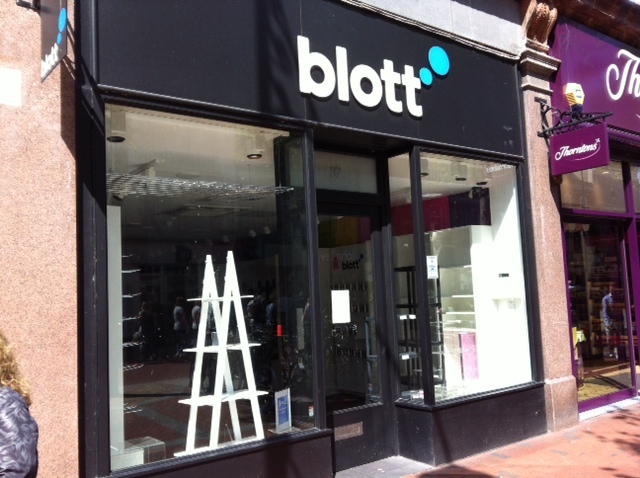 Blott arrived in Broad Street three or four years ago to little acclaim but vanished recently with barely a whimper. It may just be that the harsh retail outlook is sifting out those looking for an easy spot on the high street when these are shops with no USP and even less purpose. No-one would travel into town to buy a colourful folder or a notebook with a slogan on it. Shops such as these relied upon impulse sales and so add little to the market. Just along Broad Street, Hotter shoes has opened selling famously good quality footwear. More shops like that replacing the likes of Blott might just make the town centre a destination worth the effort after all.